A-HOTEL.com - Luxury and cheap accommodation in Vladimirovka, Russia. 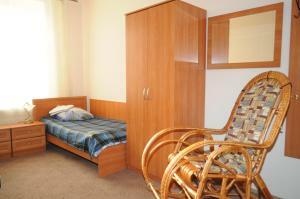 Prices and hotel, apartment booking in Vladimirovka and surrounding. Offering a 24-hour reception and a shared kitchen, this hotel is situated in the town of Cherepovets. Providing links to Cherepovets Main Station, Dom Kultury bus stop is a 7-minute walk away. Apartments Japan is set in Cherepovets. This apartment is 6 km from Ice Palace. Boasting city views, Apartments at the Gagarina 20 offers accommodation with a balcony and a kettle, around 7 km from Ice Palace. The accommodation has free WiFi. Located near the park zone, 5 minutes’ walk from the Sheksna Riverbank in Cherepovets city, this hotel features a restaurant. Guests of Hotel Cherepovets are offered rooms with air conditioning. Grad Hotel is located in Cherepovets, within a 10-minute walk of the Russian National Theatre. Solyanoy Sad Park is 2 km away. Features free WiFi and a restaurant, Yedinstvo Hotel is located 2 km from Cherepovets city centre. The Severstal Ice Arena is 7 minutes' drive away. Set in Cherepovets, Leningrad Hotel is 5 km from Ice Palace and offers various facilities, such as a bar. The property provides a 24-hour front desk and free WiFi is available.